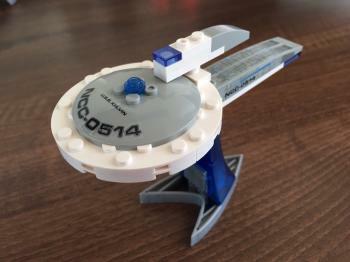 It's a KRE-O Star Trek U.S.S. 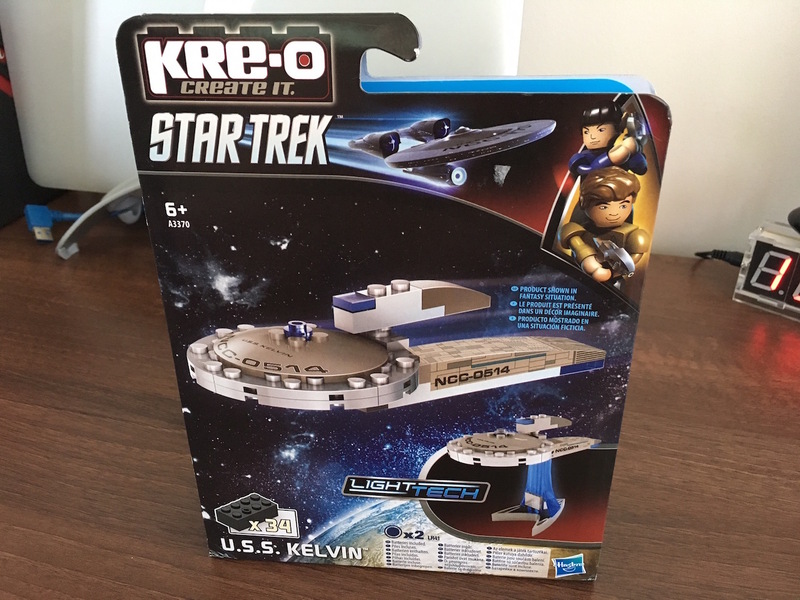 Kelvin Construction Set . 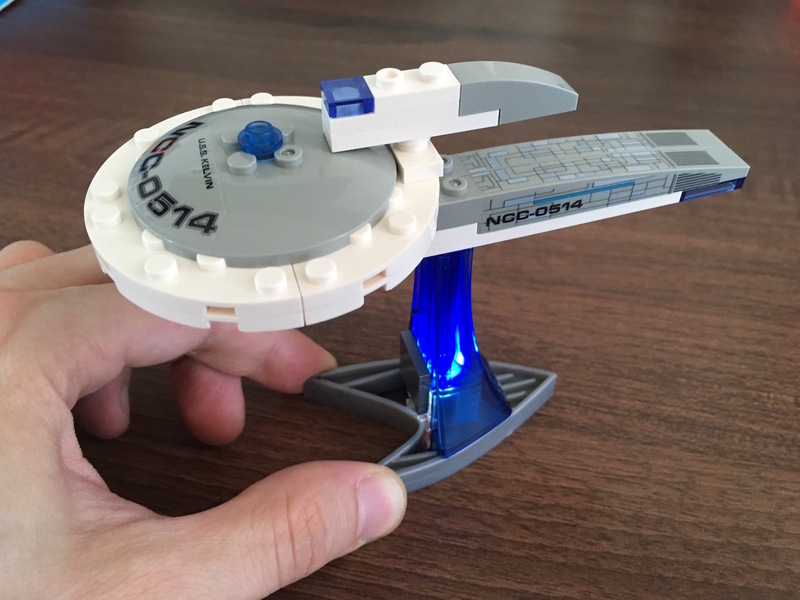 Don't think these are in production any longer. 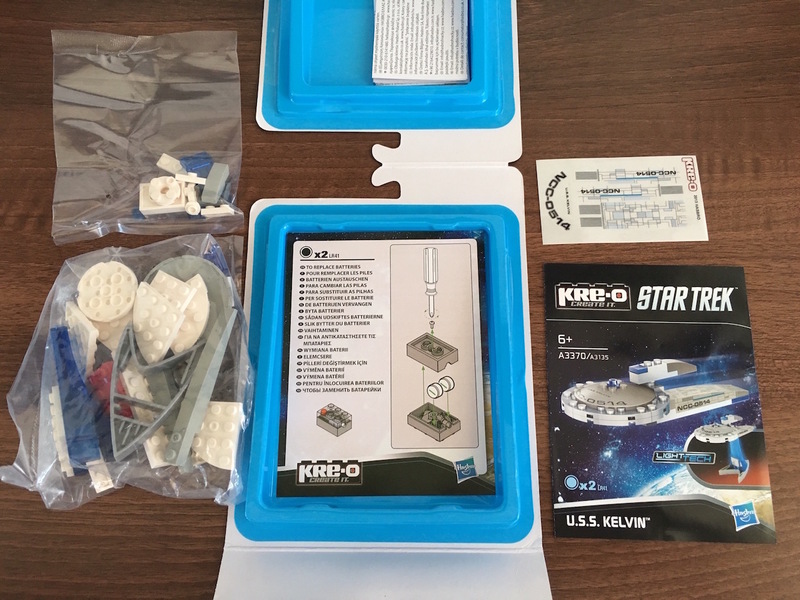 The kit is compatible with Lego but as usual with Kre-O kits includes lights and some custom pieces that would never be found in a Lego kit. 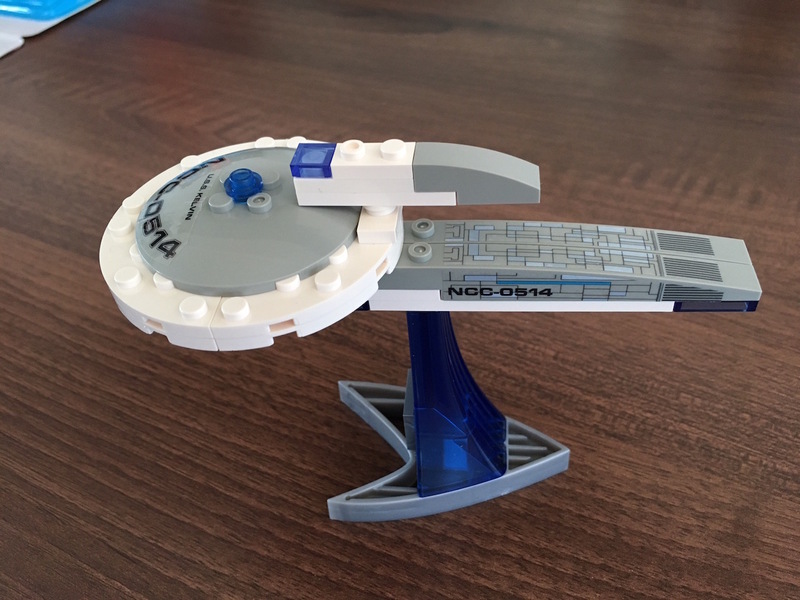 Inside was fairly standard, bags of the bricks, stickers and the instruction booklet. The USS Kelvin sits on top of a stand when fully assembled. Squeezing the base lights up the stand, that's a nice touch I think!